TORONTO -- A new study finds a steep rise in opioid-related deaths in Ontario among teens and young adults. 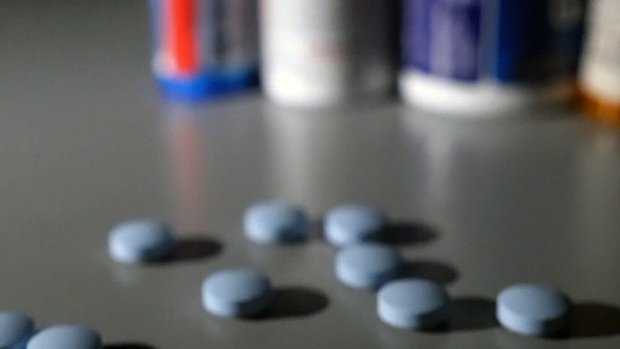 Researchers at St. Michael's Hospital in Toronto say one out of six deaths among Ontarians aged 25 to 34 was related to opioids in 2015. Lead author and St. Michael's scientist Tara Gomes says young people need more information about the dangers of illicit drug use and how they can get help if needed. She says it's time "to get past the stigma of drug use being among addicts" and be more open to providing access to the overdose-reversing drug naloxone in places young people may need it. That includes high schools, universities and music festivals. The study concludes by saying more resources "are urgently needed" to reach the younger demographic. Gomes said it's clear "this is impacting all of our population." "Naloxone is away of reducing harm if somebody has overdosed so we need to be more open to providing people with access to this tool, even in environments like high schools, universities, music festivals -- all of those different places where youth and young adults might frequent and might be using drugs," said Gomes. While those who die of opioid-related causes tend to be older, she said it's time to consider the way a 16-year-old might want to access health services that are different from a 40-year-old. 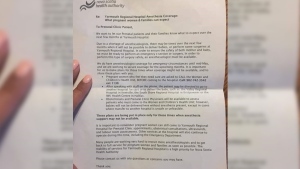 "They might be intimidated to go there, they might not know who to ask to access those services, they may not even be comfortable setting up an appointment with their doctor to talk about it if their parents usually set them up with doctor appointments," says Gomes, an epidemiologist at the downtown hospital. "It's a very different population and we need to think about how can we better get information to them so that they can promote their own health care." Gomes notes that "youth and early adulthood is when a lot of people do start to experiment with drugs."